EUGENE, Ore.--(BUSINESS WIRE)--Arcimoto, Inc.® (NASDAQ: FUV) — makers of the Fun Utility Vehicle® (FUV®) — an affordable, practical, and thrilling pure electric vehicle for everyday commuters and fleets, announced today that they have completed production of their Signature Series FUVs, and are beginning Beta Series production. Six of the eight Signature Series vehicles were pre-purchased by customers, while two have been retained by the company for marketing purposes. Two additional engineering test vehicles and five additional test chassis were built as part of the same effort. 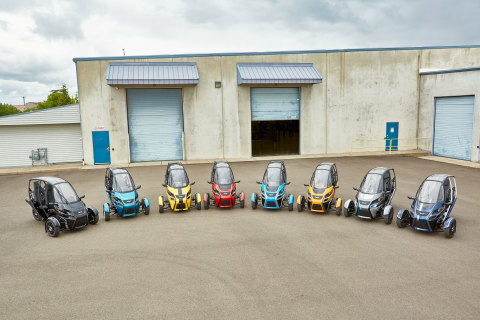 Arcimoto has now begun its 15-unit Beta Series production run, earmarked for fleet and rental operations.